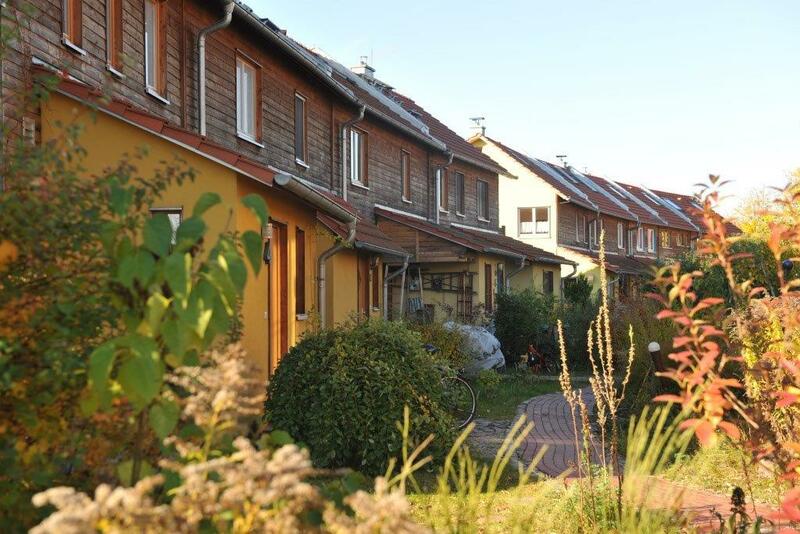 The Lebenstraum Johannisthal cohousing community planned a settlement consistent with their ecological and societal values. The group planned and constructed this settlement of 20 wooden houses, plus one community house, adjacent to the Johannisthal landscape garden. Biomass heating, thermal solar panels, a water recycling system and a photovoltaic facility were implemented in this project.